When it comes to healthy cooking, sometimes simpler is better — especially if you want to whip up a meal in just a few minutes. Learning the tricks of the meal prep trade will help you cut down on time and fill up on nutrients. But another method for streamlining your kitchen skills is investing in trustworthy tools — and we found one you’ll love. The kitchen gadget that’s 100 percent worth the price — and worthy of some counter space — is the Wolfgang Puck Pressure Oven. (Yes, the Wolfgang Puck who owns a slew of Michelin star restaurants, best known for serving up dishes you dream about.) So you know you’re in good hands once you snag one of these ovens. Big enough to fit a 14-pound turkey, a 12-inch pizza (cauliflower crust, anyone?) 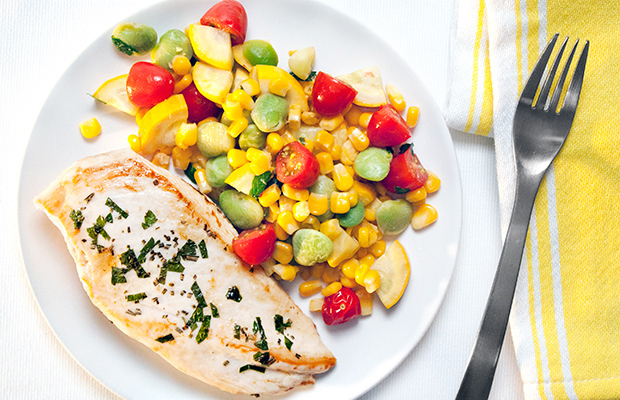 or your go-to sheet pan recipes, this oven cooks veggie- and protein-packed meals to perfection. You can thank its moisture-sealing design for locking in foods’ juicy flavors and making sure nothing comes out dry. Whether you want to roast, bake, broil, toast or just reheat your leftovers, it cooks food 70 percent faster than a traditional oven. Even better, it has an auto shut-off feature, so you don’t have to continuously watch the clock or wait for a ding. Besides the oven, this bundle also comes with a roasting pan, drip pan, crumb tray, broil rack and a recipe booklet to inspire some delectable ideas. To top it off, it’s more than 50 percent off. Cooking up a mouthwatering meal doesn’t get much easier (or better tasting) than that. 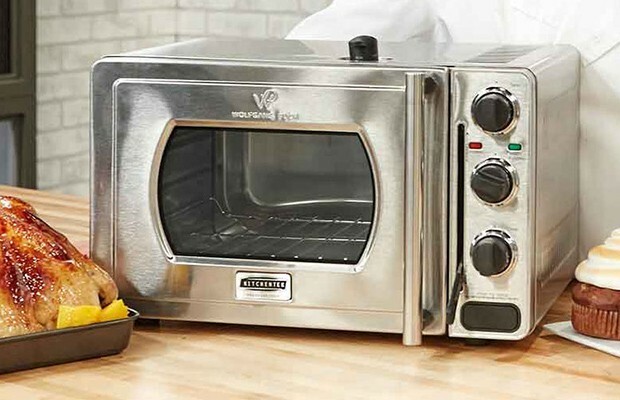 Click HERE to buy your Wolfgang Puck Pressure Oven for $117 (53% off retail price). This sponsored post is brought to you by StackCommerce. We only select products we think you’ll love — at a price we hope you’ll love, too. If you decide to make a purchase, Life by Daily Burn may receive a small commission.